Garlock Bluegard 3000 Has excellent sealability which creates less waste and lower energy consumption. Garlock Bluegard 3200/3400 Has excellent sealing characteristics with good torque retention. It is a cost-saving... Garlock Bluegard 3300 Effective against oils, fuels, and refrigerants. Used in general industry: refrigeration, petroleum... Garlock Bluegard 3700 Used against acids and caustics of moderate concentrations. Has exceptional resistance to... Bluegard 3760 Multi-Swell is a great solution for aliphatic hydrocarbons and water. 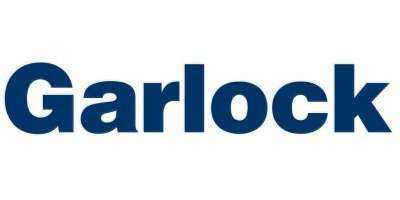 It provides a strong seal when in... Garlock 9800 Garlock 9800 has a very high resistance to heat and pressure, used often in piping, chemical and gas... Garlock 9850 Garlock 9850 has a very high resistance to heat and pressure used often in hydrocarbon services... Garlock 9900 Garlock 9900 is very versatile, as it can withstand high heat & extreme pressure. Garlock IFG5500 Garlock IFG5500 is a great general service gasket offering great thermal and pressure resistance. NA 1001 Na 1001 is great for general services industry, has numerous applications in the process... NA 1080 NA 1080 is great in process industries; including media such as mild alkalis, acids and water. NA 1081 NA 1081 has good heat resistance and exceptional pressure resistance. NA 1122 NA 1081 has good heat resistance and exceptional pressure resistance. C 4401 C 4401 has high heat resistance, chemical stability, and high torque retention with anti-stick properties. C 4430 C 4430 is a premium grade compressed non-asbestos material. C 4439 C 4439 is a high performance compressed sheet with a galvanized carbon steel insert. C 4433 C 4433 is a great general-purpose material. It has excellent load bearing & creep relaxation. C 4409 C 4409 is excellent for use in hot gases, high temperature & stress applications. C 4500 C 4500 is great against steam, high temperature, chemicals, oils, fuels & hydrocarbons. C 5400 C 5400 has great anti-stick properties and is chemically stable. Good for use in gases, steam and liquids.